Reintroducing the 2016 Profile Blackjack sprocket celebrating 18 years (1998) since its inception. ..
Repurposing classic Profile Chainrings: The Profile Sprocket Clock is a perfect addition to your of.. 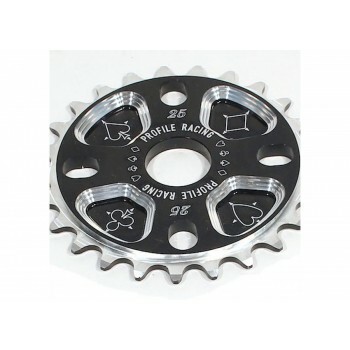 The Wake Sprocket is made from 7075 series aluminum for extra strength and durability, and comes in .. Precision CNC machined from aircraft quality billet aluminum plate - One of our best sellers - Sizes..
*LIMITED SIZES AND SUPPLY* -CNC machined from 5mm 6061 Aluminum in the USA! -The inferno is “bolt ..